Date of publication: 12 2012 June . In continuation of our column about alteration IKEA We want to show you what you can do with a sofa CLUB. Maybe it's not the most creative "remake" of IKEA, but very practical and, we believe, to look at what happened it will be interesting to many. So, leather sofa CLUB. Sofa CLUB - One of the cheapest sofas, which can be found in IKEA stores. As of June this year 2012 sofa costs only 4299 rubles. Its just cheaper sofa SOLSTA. This sofa has deserved interest from buyers and not just because of its price. 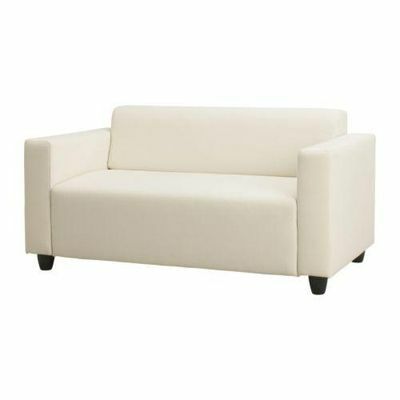 Due to its compact size sofa CLUB can be used in many areas of our apartments. It can be installed in the entrance hall, and kitchen and a lot more where. Besides CLUB can be found in many cafes and offices as a guest furniture. Only in our vzgyad disadvantage CLUB is its interior - it is light, Mark and relatively quickly comes to the not very priglyadnoe state. Eliminate this disadvantage can be a constriction of the sofa. How difficult is it to make a constriction of the sofa of the club? To answer this question, we must tell you more about this couch. Sofas CLUB, which are sold in Russian stores IKEA hails from Russia. In any case, this is indicated by a tag on the package - "Made in Russia". The design of the sofa is very simple. It consists of four parts - two armrests, a backrest and the seat itself. The main materials used in the sofa CLUB - MDF and paralon. When assembled, and the sofa is delivered in disassembled form, all these parts are connected together by the screws that come with the kit. Thus, you need to pull each part separately, which greatly simplifies the process. The main component of the cost of such a "waist" is the upholstery chosen by you. In this case, we are talking about the skin. Well, in conclusion, a photo of what happened in the end. What other options upholstery of the sofa, you can choose depends on your imagination and the objectives pursued and the interior, where you want to enter your "new" club.